(RICHMOND, VA)—The Attorney General's office has announced it has filed an enforcement action in Circuit Court that charges Virginia True with violations following illegal actions at Fones Cliffs, in Richmond County. 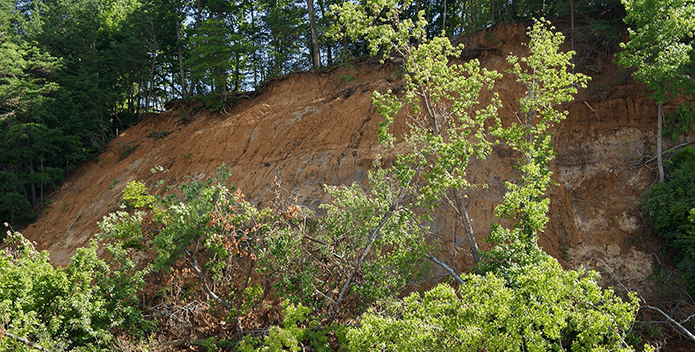 (RICHMOND, VA)—Terrell Bowers, who owns a portion of Fones Cliffs, has announced that his 250 acres of the cliffs is under contract for sale to The Conservation Fund for preservation. 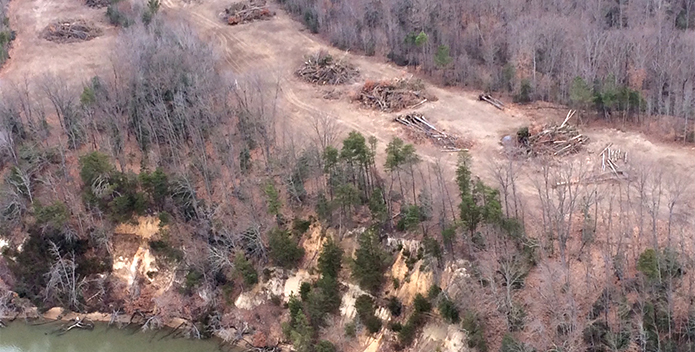 (RICHMOND, VA)—The Virginia Department of Environmental Quality has referred violations by Fones Cliffs developer, Virginia True Corporation, to the Virginia Attorney General’s Office for enforcement. The Chesapeake Bay Foundation had called for a significant penalty for these violations. 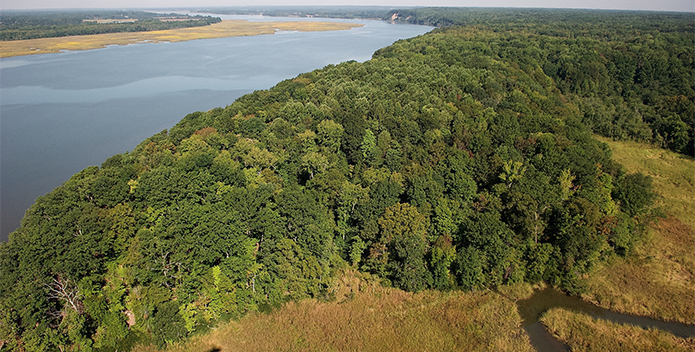 Can Chesapeake’s ‘Crown Jewel’ Cliffs Still Be Spared?